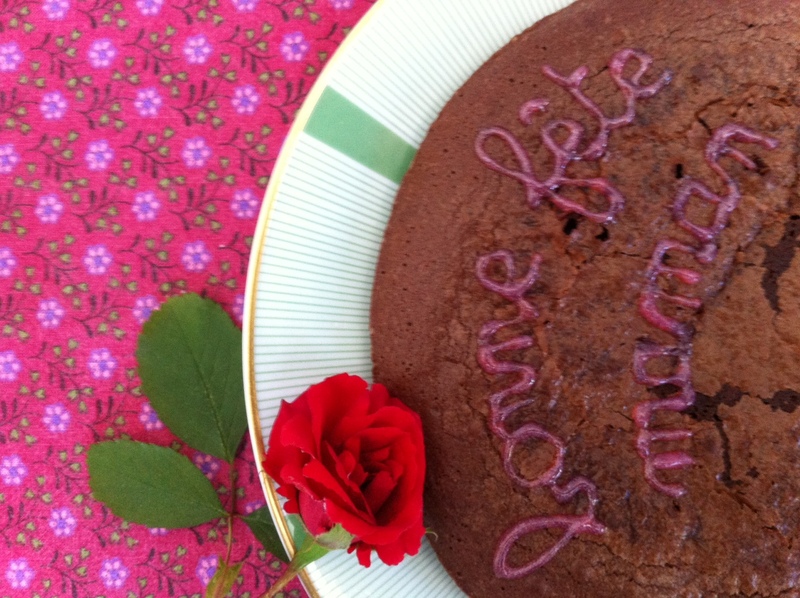 Here it is, our repertoire of proven classic French recipes for you to try and enjoy! Make sure to check this page every now and then: we are adding recipes on a regular basis. Also, if there is a recipe you have tested and would like to share, please send it to us (in English or in French) by all means. We look forward to trying and posting it! Baba is actually far less tricky that you might have thought. Follow our easy recipe and you'll see it's a piece of cake! Mix the eggs and 6 tbsp of sugar. Add 9 tbsp of flour, 6 tbsp of sugar and 1 tbsp of baking powder. 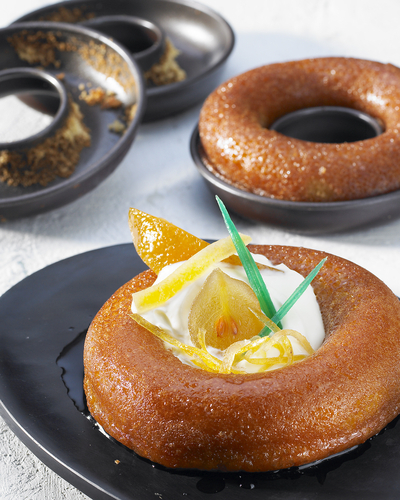 Bake in a buttered (doughnut-shaped) baba pan for about 20 minutes at 170°C (340°F). Meanwhile, mix and bring to the boil 1 cup of water, ¾ cup of sugar, and ¾ cup of rum. When the baba is baked, take it out of the pan and pour the liquid on it gradually. Make sure that every part of the cake is soaked. Refrigerate and serve cool with diced fresh fruit (pineapple, for example) and/or whipped cream in the middle hole of the baba. Do you want to share a comment on this recipe or make another recipe suggestion? Your guests won't believe you did not buy this beautiful cake in a French pastry shop! Prepare the day before serving. You will need a pastry circle about 9 inches wide and 3 inches high. Génoise Separate the egg whites from the yolks and beat the whites stiff. Mix the yolks and sugar until the mixture becomes whiter. Add the flour. Incorporate the beaten egg whites delicately. Lay a sheet of baking paper on an oven tray and put the circle pastry on top. Lay the génoise mixture inside the circle and even the surface as much as possible. Bake at 220ºC (420ºF) for about 20 minutes. The génoise is baked when a knife blade inserted in it remains dry. Move the génoise, still in the pastry circle, onto a cake plate. Remove the baking paper. Bavarois Put the gelatin sheets in a bowl of water to make them softer. Wash and hull the strawberries. Blend them with the juice of the lemon and the sugar. Drain the gelatin sheets and add them to the mixture in a saucepan on low heat. Stir until the gelatin sheets are completely incorporated. Remove from heat and let cool. Whip the cream and incorporate in the strawberry mixture once it has cooled down. Lay the mixture on top of the génoise inside the pastry circle and refrigerate for at 12 hours. The next day, remove the cake from the pastry circle by delicately inserting a knife all around the cake. Topping Put the gelatin sheets in a bowl of water to make them softer. Heat the coulis (which you can also make by mixing about 100 grams of berries and 5 cl of syrup of the same flavor with another 5 cl of water) in a saucepan on low to medium heat, then incorporate the gelatin sheets. Remove from heat and let cool for a little while. Cover the bavarois top with a thin layer of coulis, then decorate with a couple of sliced strawberries. Refrigerate the cake until you serve it. Mix all the herbs, 1 Tbsp olive oil, and a pinch of salt. Drain the escargots, then let them marinate in this mixture for about one hour. Mix the whole eggs, flour, and light ale, then season with the salt and pepper. Stir until the batter is homogeneous then set aside for about 20 minutes. Whip the egg whites until stiff with a pinch of salt then incorporate delicately into the batter. Heat 5 Tbsp of olive oil in a fryer or a deep saucer pan. The oil is the right temperature when a small piece of bread crisps quickly in it. Pour half a dozen of the marinated escargots into the batter, then fry them in the pan. Take them out when they have turned nicely golden. Lay the beignets on a paper towel to absorb excess oil. Keep warm in a low oven. Repeat with the rest of the escargots. 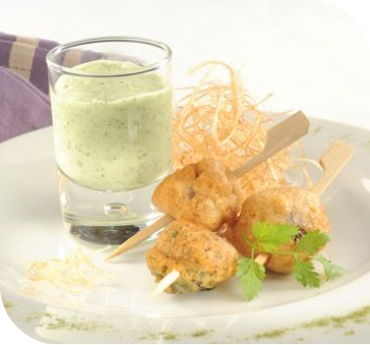 Serve the beignets on a tray with parsley and cocktail sticks or on top of a salad (you can use the same herb mixture to make the dressing). Excellent with a dry white wine from Burgundy! Flavored with rum and vanilla, with a tender custard center and a dark caramelized crust, these petite pastries are simply precious. In order to make them (and we warmly encourage you to do so!) you'll need canelé molds (copper or silicon) and your first batch might serve to fine-tune temperatures and baking times with your own oven. Well worth your while, as these delicate babies are truly irresistible. Prepare the batter 1 or 2 days before baking the canelés. Combine milk and diced butter in a medium saucepan. Scrape in seeds from vanilla bean, then add bean. Bring to a boil. Remove from heat. Cover and let stand for 10 minutes. Whisk sugar, flour, and salt in a large bowl. Whisk in whole eggs and yolks. Remove vanilla bean from milk mixture then gently whisk into flour mixture until just blended. Let batter cool completely, uncovered. Whisk in rum then cover and refrigerate for at least 24 hours. Pre-heat oven to 240°C (465°F) if using copper molds / 220°C (430°F) if using silicon molds. Brush molds with melted butter (even if using silicon molds). Gently stir batter with a spatula. Fill prepared molds ⅔ of the way with batter. Bake for 12 minutes if using copper molds / 15 minutes if suing silicon molds. Lower oven temperature to 180°C (350°F) and bake for another 40 minutes. You may need to modulate temperatures and baking times to obtain that coveted deep mahogany brown crust. 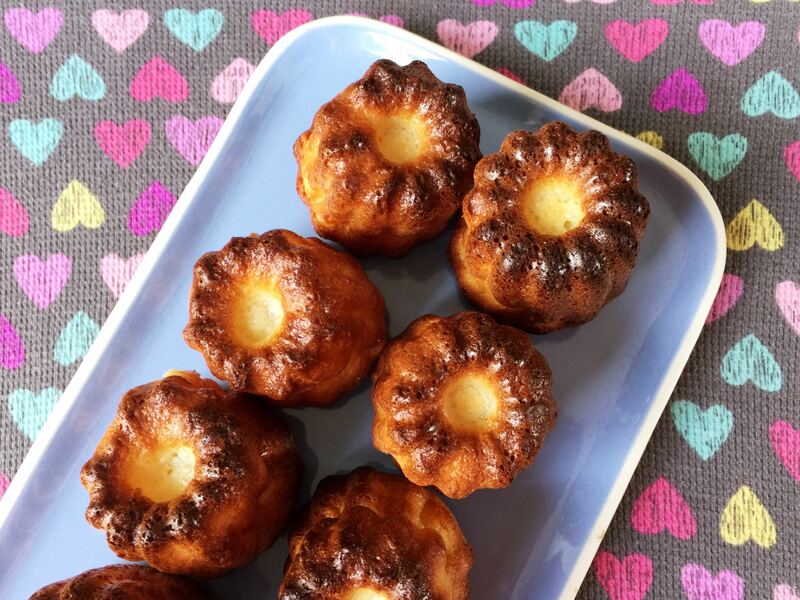 Remove canelés from oven and unmold onto a wire rack. Let cool and serve within 6 hours (or freeze and pop for a minute in a hot oven before serving). 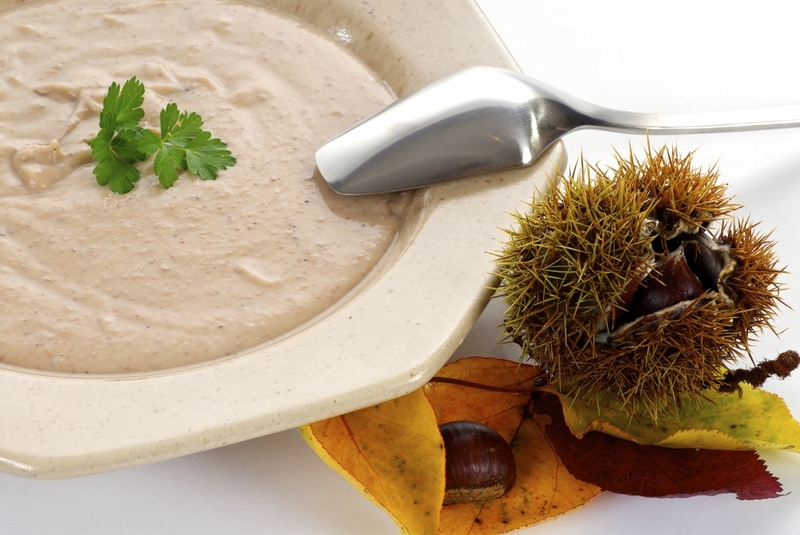 Gribiche is a light version of mayonnaise, good with cooked vegetables. 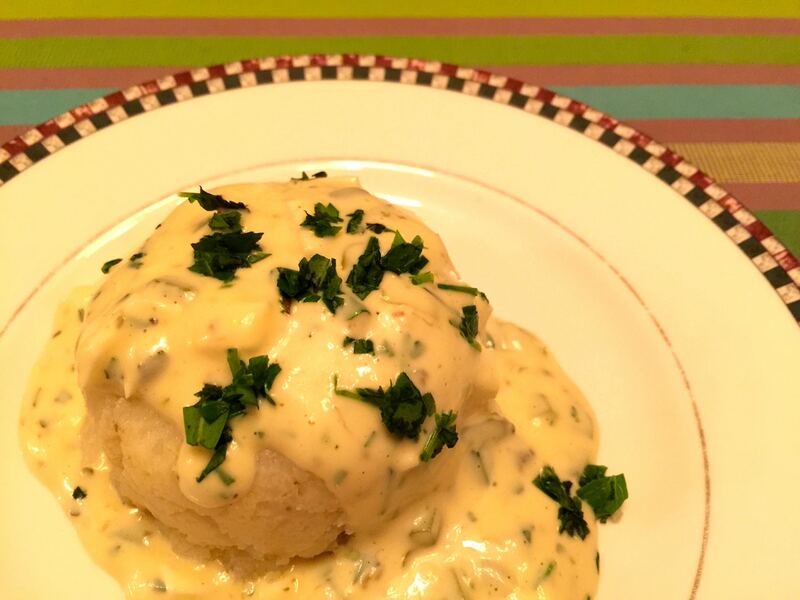 This tasty appetizer is a Breton classic. For the sauce, separate the egg whites from the yolks and coarsely chop the whites. Pound or mash the hardboiled yolks in a small bowl with the raw yolk. Add the mustard, then gradually whisk in the oil a few drops at a time until the mixture thickens, as for mayonnaise. When the mayonnaise is thick add the white wine and vinegar, then whisk in the remaining oil in a steady stream. Finally, stir in the chopped cornichons, capers, herbs and chopped egg whites and mix well. Add salt and pepper to taste. Trim and core the cauliflower, then separate it into florets. Put the florets in a large pan of boiling salted water and simmer until tender but still firm, 5-8 minutes. Drain the cauliflower, rinse with cold water and drain it again thoroughly. Generously butter 6 175 ml (¾ cup) custard cups. Pack the cooked florets into the molds with the stem inward. Fill the center with more florets, then press each lightly with a saucer. The sauce and cauliflower can be stored separately in the refrigerator for up to 24 hours. Allow the cauliflower and sauce to come to room temperature before serving. To finish, unmold the small cauliflowers on to a platter or individual plates. Spoon over the gribiche sauce to half coat the cauliflower and garnish the top with a herb sprig. Cut the chocolate into small pieces and let it melt (with 2 Tbsp water) in a saucer pan on medium heat or in the micro-wave oven. Remove from heat and let cool for a moment. Line a baking pan (basically a round pan about 6-7 inches wide and 4-5 inches high) with plastic wrap, then line the inside of the pan (sides and bottom) with sponge fingers after soaking them in water very briefly. Separate the egg whites and the yolks. Mix the yolks and the melted chocolate. Beat the whites stiff then incorporate delicately. Pour the mixture into the charlotte pan. Refrigerate for at least 4 hours. Cut sticking-out sponge fingers if any, then invert into serving plate and remove plastic wrap. 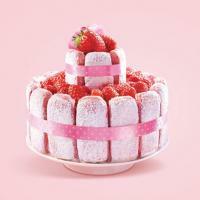 This beautifully festive pink cake is a sure hit on any special occasion. Bring water and sugar to a boil. Add vanilla extract then let syrup cool. Moisten the non-sugary side of each biscuit in syrup. 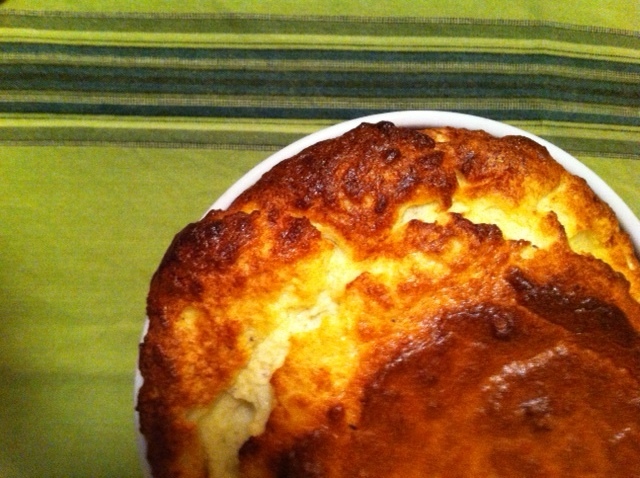 Line a 7-inch charlotte pan (including bottom) with biscuits, sugary sides in. Whip heavy liquid cream with vanilla sugar then delicately incorporate fromage blanc (or Greek yogurt). Pour about half of cream into pan, add half of strawberries and 4 biscuits. Pour other half of cream and top with strawberries. Refrigerate for at least 12 hours before removing from pan and serving. In the mood for a gorgeous summer dessert? Our raspberry charlotte should definitely meet your expectations. It is much easier to make than you might think, just make sure you start working on it the day before serving. Start preparing the day before. Let the gelatin sheets soak in cold water for 5-10 minutes. Squash 300 grams of de-frozen (or fresh) raspberries in a pan (keep the remaining 200 grams in the fridge) and cook over a slow heat. When the raspberries are liquid, stir in sugar, then melted gelatin sheets. Keep aside. Beat the egg whites stiff. Pour the raspberry mix in a bowl and stir in whipped cream and stiff beaten whites very delicately. Keep the raspberry mousse in the fridge for at least 12 hours. The next day, line a charlotte baking pan (basically a round pan about 6-7 inches wide and 4-5 inches high) with lady fingers soaked in raspberry syrup and water (1 unit of syrup to 6 units of water) for just a few seconds. Pour half of the raspberry mousse into the lined pan and even out. Add the remaining raspberries and finish with a second layer of mousse. Cover the surface with soaked lady fingers and apply a heavy plate. Don't mind some overflowing, for the sake of compactness. Keep the charlotte in the fridge for at least 4 hours. Invert into serving plate and serve with raspberry purée. In Paris, these moist, pillowy puffs covered with nuggets of coarse sugar (aka pearl sugar) can be found in every good boulangerie. Don't wait till your next trip to treat yourself to this irresistible afternoon tea classic! Pre-heat your oven to 210ºC (410ºF), only 190ºC (375ºF) for a convection oven. In a small saucepan, bring the water and butter to the boil. Remove from heat, pour all the flour, salt, and baking powder at once and stir energitically with a wooden spoon until the mixture is smooth and pulls away from the sides of the pan. Let the dough cool for a moment then add the sugar and the 3 eggs, one by one. Scoop up monds of dough roughly the size of a walnut with a spoon and use another spoon to scrape them off onto a buttered baking tray. (You will need 2 trays for this quantity). Press nuggest of pearl sugar all over the top and sides of each mond). 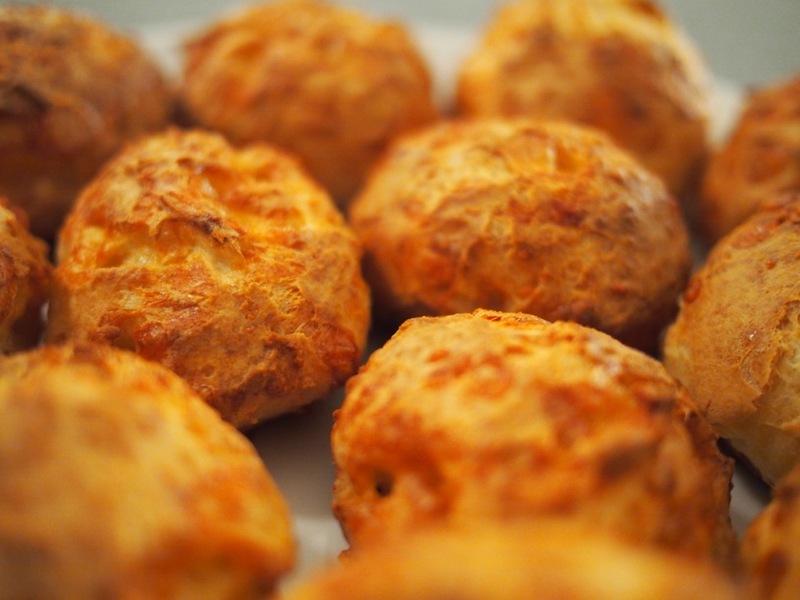 Bake for about 20 minutes or until the chouquettes have turned to a nice golden. In a hurry? Just mix 1 pouch of Francine Pâte à Choux Mix, 3 eggs, and 1/2 cup of hot water (for about 20 chouquettes) and follow the same baking instruction. Francine mix even comes with a pouch of pearl sugar. Nice touch! Pre-heat your oven to 340ºF. Whip the egg yolks and sugar together. Add the whole egg and mix. Add the soft butter and mix. Add the flour and mix. Add the milk and salt and mix. Pour the orange blossom water in the batter. Butter the cake pan(s) and coat with a thin layer of sugar. Lay the cherries in the pan(s). Pour the batter and bake for about 45 minutes. 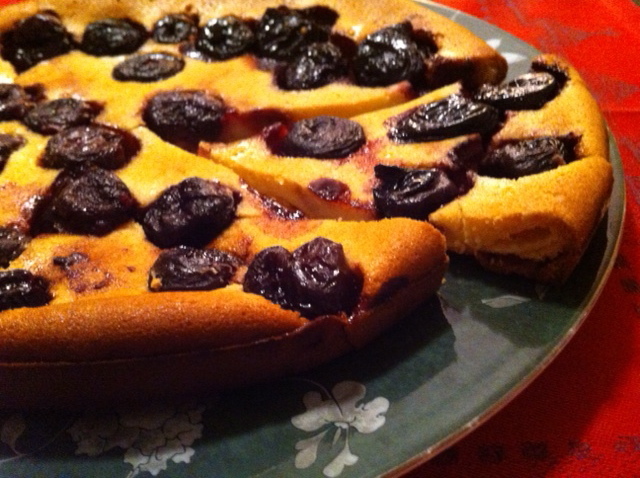 Serve the clafoutis warm or cold. Pre-heat oven to 240°C (460°F). Heat chocolate (100 grams) and butter in micro-wave oven for 1½ min at 500W. In a bowl mix whole eggs and sugar, then add flour gradually. Coat 4 ramekins with a little butter and flour. Pour ⅓ of the mixture in the ramekins. 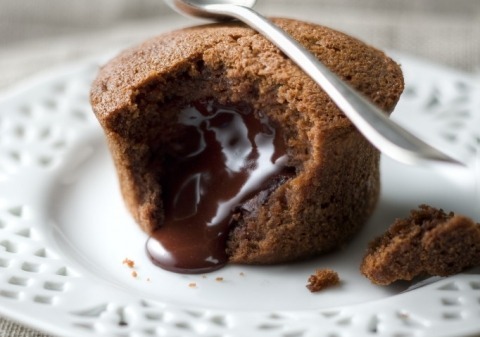 Lay 2 squares of chocolate in each ramekin, then top with the rest of the mixture. Bake for about 10 minutes (a little more or less depending on your oven). Serve coeurs fondants warm but not hot, removed from ramekins or not. 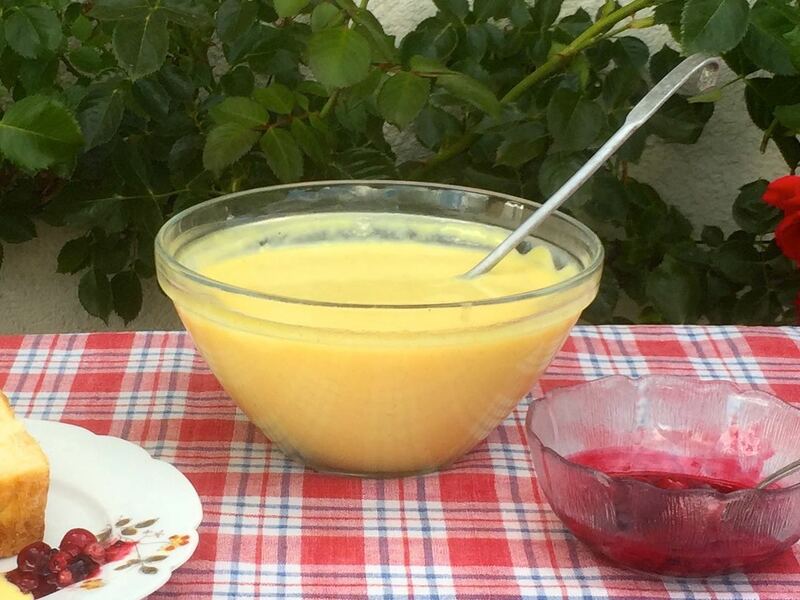 This silky custard sauce can be made one day ahead. Pour milk in saucepan. Cut vanilla pod lengthwise. Scrape seeds in milk, then add pod. Bring to boil. Lightly whisk egg yolks and sugar in medium bowl to blend. Remove milk from heat and gradually whisk into yolk mixture. A light white foam forms on surface. Return custard to saucepan. Put saucepan in larger saucepan filled with 1 inch water. Stir with wooden spoon on very low heat until foam disappears and custard thickens and leaves path on back of spoon when finger is drawn across, about 5 minutes (do not boil). Strain into bowl. Let cool uncovered before refrigerating. Thanks to Céline for sharing her proven crêpes recipe with us! If using a blender, put the flour in the jar, then add the eggs and egg yolks, milk, melted butter, sugar, and salt. Blend for 5 to 10 seconds to make a thick, lump-free batter. Add the water and blend until smooth. To make the batter by hand whisk all the ingredients in a bowl to make a very thick smooth batter, then whisk in the batter. Refrigerate the batter for at least an hour. Before making the crêpes, whisk the batter well. The secret of French crêpes is that they are thin. Pour about 3-4 Tbs of batter in a greased pan. Tilt and rotate the pan to spread the batter all over the pan bottom as quickly as possible. Cook for about 45 seconds to 1 minute until slightly brown. Flip the crêpe and cook for 30 to 45 seconds. You can make these ahead. After the crêpes are cool, stack them and wrap them in plastic wrap. Store in the refrigerator for a couple of days or keep frozen for several weeks. 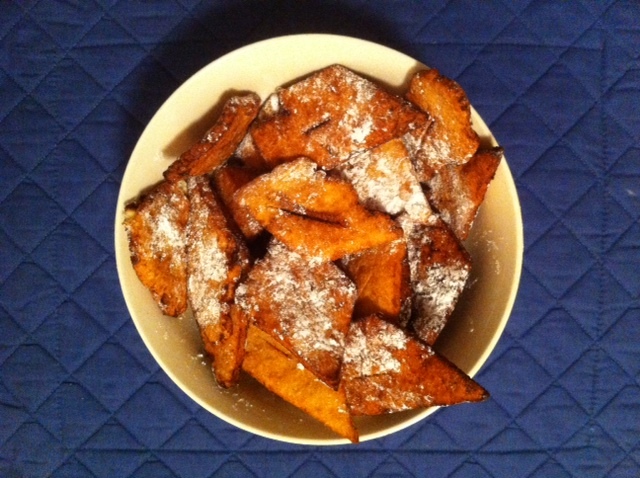 Source: Julia Child and Jacques Pépin - Their recipe is similar to the one I learned as a student at L'Ecole Hôtelière in Montréal, Québec. I have used it in Québec and France over and over. Never grows old! Follow above recipe to make crêpes. Here is Céline's recipe for crêpes Suzette! Set a skillet (12 to 4 inches in diameter, can be shallow) over moderate heat and scrape in all the orange butter. Heat for 4 to 5 minutes as the butter melts, boils and bubbles, and begin to thicken into syrup. Have your ustensils at hand and crêpes ready for dipping. Lower the heat so the sauce is bubbling slowly and lay the first crêpes into the skillet, "better" side up, to moisten for an instant. Turn it over quickly, then fold it in half twice. Move the wedge-shaped crêpes to the side of the skillet and lay in next ones. Working quickly, bathe and fold the remaining crêpes and arrange them around the edges of the skillet, overlapping as necessary, to leave an open space for moistening the last crêpes in the sauce. Sprinkle a little sugar over them. Pour the Cognac into the laddle and over the crêpes. Quickly do the same with Grand Marnier, spoon it over the crêpes once or twice. Slightly tilt the skillet and light the content. With high flourish, spoon the flaming sauce over the crêpes until the flames have subsided to a flicker. Serve 2 crêpes per guest and pour the still flickering sauce onto their warm plates. You can decorate with lemon and orange zests or, for the more ambitious, candied zests. Variation: Add fresh strawberries and whipped cream before folding the crêpes and proceed to flambé and serve. These are called crêpes Romanoff. A great idea for a kid-prepared lunch. Serve with cornichons and a green salad (and a glass of white wine for the grown-ups). Toast the slices of bread. Cut the slices of ham in halves. Cut the pâté in thin slices. Spread Béchamel sauce on 4 slices of bread. Top each slice with ham, pâté, and another slice of bread. Spread Béchamel sauce on each croque-monsieur and add a layer of grated Gruyère cheese. Wash the endives, cut their bases and discard the spoiled parts. Roll each endive in a slice of ham. Lay the endives in a buttered gratin tray. Pour the Béchamel sauce on the endives (make sure to cover everything), then add the grated Gruyère. Bake for about 20 minutes at 210ºC (410ºF). The dish is ready when its top has turned to a nice golden color. This irresistible fondant is one of our favorite home-made cakes for celebrations. Spoil your favorite chocoholic! Pre-heat your oven to 150ºC (300ºF). In a saucer pan let the chocolate and butter melt on medium heat. Pour the mixture into a bowl, add the sugar and stir. Let cool, then add the eggs and flour and mix energetically. Pour the mixture into a butter cake tray and bake for about 15-20 minutes. The fondant should still be soft inside. Wait until the fondant has cooled down to remove from the tray. Serve at room temperature with a scoop of vanilla ice cream, a little whipped cream, or a red berry salad. 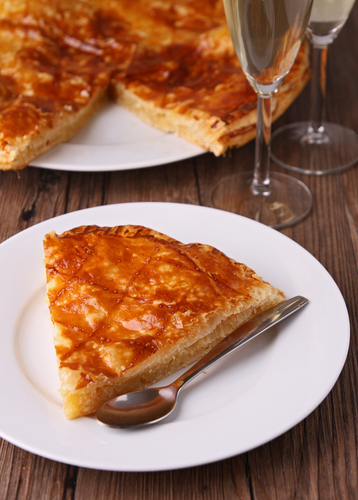 Galette des Rois is all about sweet traditions. Unless very young children are to eat it, make sure to add a small oven-proof lucky charm (e.g. a shiny dime) when making it and tell everyone about it in advance. Have the youngest child present sit under the table, cut the Galette in (slightly) unequal slices and ask the child to assign each slice you point to to a different guest. The guest who finds the lucky charm in their slice is to be King or Queen for the day. It's even more fun if you have prepared a paper crown for them to wear (a great kid's activity, by the way). Pre-heat oven to 210ºC (410ºF). Lay one puff pastry circle on a buttered tart tray and make tiny holes with a fork. Blend all filling ingredients (ground almonds, sugar, eggs, butter, and vanilla extract) and spread mixture on puff pastry circle, leaving 1-inch free all around the circle. Insert lucky charm in filling somewhere near the edge (to reduce the chance of exposing it when slicing the Galette). Lay the second puff pastry circle on top and press down the edges to seal. Using a sharp knife, make criss-cross patterns on the pastry lid and brush down a thin layer of diluted yolk – this will make for a nice golden color. Make tiny holes with a fork to let steam escape during baking. Bake for about 30 minutes. Start checking after 25 minutes. Baking may take up to 40 minutes depending on your oven. As much as we love sweet crepes, it's fair to say that savory buckwheat crepes, aka galettes bretonnes, are the real thing. Make sure to use buckwheat flour from Brittany (available here), as it is more finely milled than American buckwheat flour. Pour the flour into a bowl. Add the egg and salt into a well carved in the flour. Mix with a wooden spoon and add some water. Whisk energetically for several minutes to obtain a thick smooth batter. Heat a buttered frying pan. Pour a ladle of batter and cook on medium to high heat. Flip the crepe as soon as its edges unstick. Serve hot with ham, egg, cheese, or other savory ingredients. Every self-respecting chocoholic has to taste the legendary chef's gâteau au chocolat. Preheat oven 350°C (180°F). Butter a 10 inch round cake pan, line the base with a round of wax paper and butter the paper. Sprinkle the pan with flour, discarding the excess. Work chocolate in a food processor, finely chop with a knife, or coarsely grate it. The texture should be slightly granular. Warm butter over a pan of hot water until soft enough to pour. Let it cool slightly. Beat egg yolks with sugar until thick and the mixture leaves a ribbon trail when the whisk is lifted, about 5 minutes.. In a separate bowl, stiffly whip egg whites. Beat butter into the egg yolk mixture, followed by chocolate and then the flour, using an electric mixer if you like. With a spatula, fold in the egg whites in three batches. Pour the batter into prepared pan and bake 35-45 minutes until the cake shrinks slightly from the side of the pan and the top springs back when lightly pressed with a fingertip. Run a knife around the edge of the cake and turn it out on a rack to cool. It is best eaten the day of baking, but can be stored 2-3 days in an airtight container. Sprinkle generously with cocoa powder or confectioners sugar before serving. Caramelized rice cakes hold a special place in many French childhood memories. Here is our family recipe. Pour the milk into a saucepan, add the vanilla pod cut lengthwise, and bring to the boil. Add the rice and let simmer on low heat for 45 minutes. You may need to add some milk towards the end of the 45 minutes to keep the mixture moist. Remove the saucepan from the burner and remove the vanilla pod. Add butter, sugar, eggs and stir. Pour the mixture into a round (at least 3 inch deep) cake pan or a soufflé mold coated with liquid caramel. Bake for about 45 minutes at 180ºC (350ºF). Refrigerate and serve cold. Unless you are a caramel expert, you may want to use our hassle-free recipe for liquid caramel that keeps liquid for several months. Make one batch and keep it in a jar in your fridge. It will be enough for at least 3 cakes. Mix 500 grams (2½ cups) sugar, 1 tbsp vinegar, and 12.5 cl (½ cup) water to the boil and keep on high heat for about 15 minutes. When the mixture turns golden, lower the heat and add very cautiously 25 cl (1 cup) of cold water (beware of splashes). Turn up the heat for 1 minute then remove from the burner. 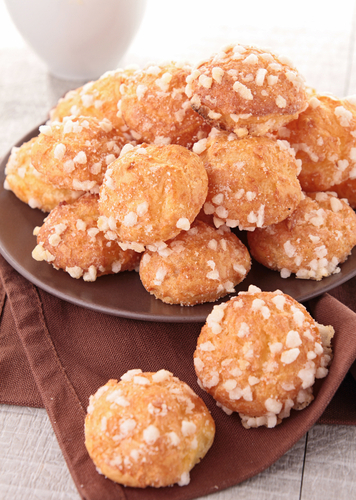 These yummy cheese puffs are a specialty from Burgundy but they are popular all over France. Great for a cocktail party or as an appetizer served with some dry white wine. Cut butter in small pieces. Put into a pan with 25 cl (1 cup) of water and 1 tsp of salt and bring to the boil. Remove from burner, pour all flour at once, and stir energetically. Let mixture dry slightly on low heat for one minute. Remove from burner and wait for a moment before adding whole eggs one by one. Mix well. Add grated Gruyère cheese, nutmeg, salt, and pepper. Make small heaps of mixture with 2 teaspoons and lay on a buttered baking tray. You can put some yolk on the gougères with a kitchen brush to give them a nice golden shine. Bake for about 25 minutes. Be sure to check after 15 minutes though, as baking time can vary depending on oven and size of the gougères. 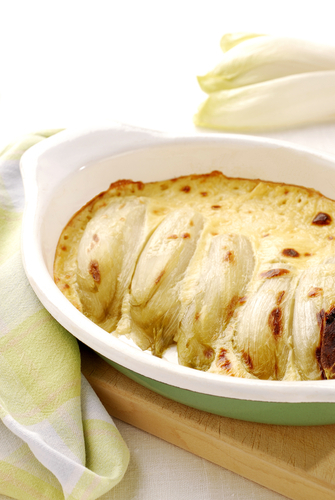 Robust and tasty gratin dauphinois is an ideal winter dish. The key here is that the potatoes must melt in your mouth (a dry gratin dauphinois is a shameful thing...) Use our pre-cooking tip and you'll get there each and every time. Bon appétit! Bring the milk to the boil with chopped garlic, salt, pepper and nutmeg. Add the potatoes and cook on a medium heat for 10 to 15 minutes, depending on the firmness of the potatoes. Lay the potatoes in a buttered oven tray. Pour some of the milk on the potatoes and add the cream and small knobs of butter on top. Bake at 180ºC (350ºF) for 50 minutes to 1 hour. This simply delicious dish is a great summer dinner idea. Wash and slice zucchinis (about ¼" slices), then sauté in olive oil until zucchini for about 10 minutes or until zucchinis are tender. Remove from pan and absorb oil with towel paper. Lay zucchinis in a slightly buttered gratin tray. In a salad bowl mix cream and eggs, then then stir in salt, pepper, nutmeg, and garlic. Pour mixture all over zucchinis. Cover gratin with slices of goat cheese, then grated Gruyère cheese. Bake at 200ºC (400ºF) for about 30 minutes. This tasty recipe is light on calories and also a sure way to have your kids enjoy nutritious cauliflower. What's not to like? Wash, trim and core cauliflower, then separate it into (about 1-inch wide) florets. Steam (or pressure cook) the florets until they are tender, but not too soft or, God forbid, mushy. Bring water to a boil then add bouillon cube and stir to mix. In a saucepan mix butter and flour on medium heat, then add water and bouillon cube gradually. Stir in cream to taste. Add salt, pepper, and nutmeg to taste. Preheat oven to 200ºC (400ºF). Butter a gratin tray and pour a little of the sauce at the bottom. Spread florets then cover with the rest of the sauce. Sprinkle grated cheese. Bake for about 30 minutes or until the gratin's top has a nice golden color. 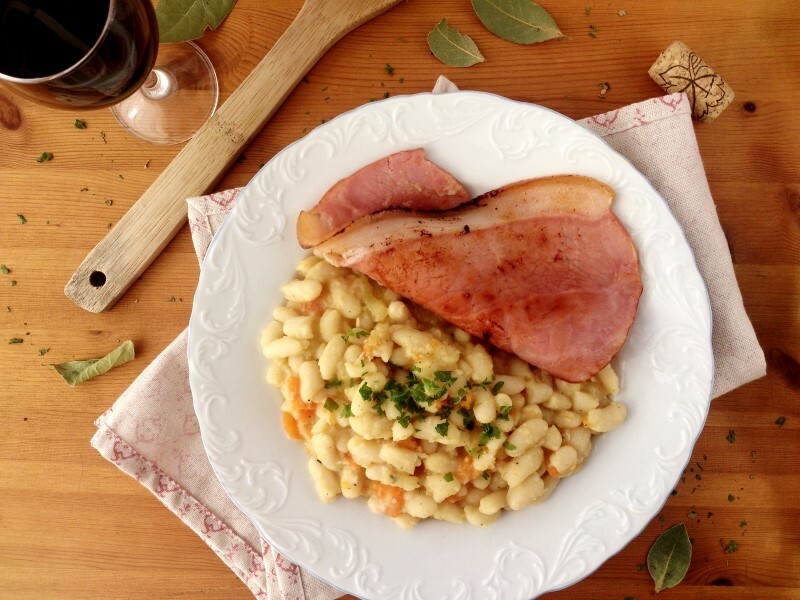 This earthy dish from the Lyonnais region is a wintertime blessing. Pour the milk into a large pan, adding salt and pepper. Peel the potatoes and the roots, slice them thinly and add them at once to the milk pan. Bring them to the boil and simmer until they are almost tender, 15-20 minutes. Drain and reserve 375 ml (1½ cup) of the milk. Keep the rest for another purpose, such as soup. Rub a shallow baking dish with the garlic and then butter it. Spread half the vegetables in the baking dish and season them with salt and pepper. Add the remaining vegetables and season again. Stir the reserved milk with the nutmeg into the cream and pour it over the vegetables. Sprinkle with the grated cheese. 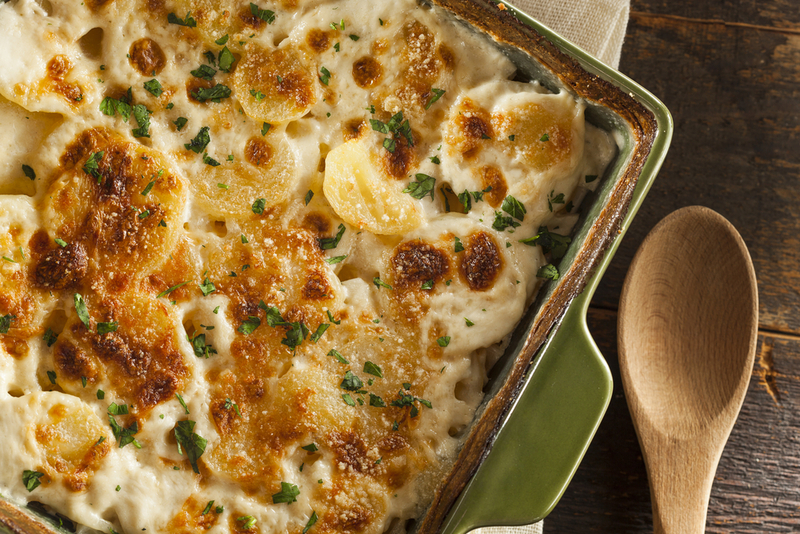 The gratin can be prepared up to 12 hours ahead and kept in the refrigerator. Bake the gratin at 180ºC (350ºF) for 25-30 minutes until it is very hot and the top has browned. Sprinkle with the chopped parsley. 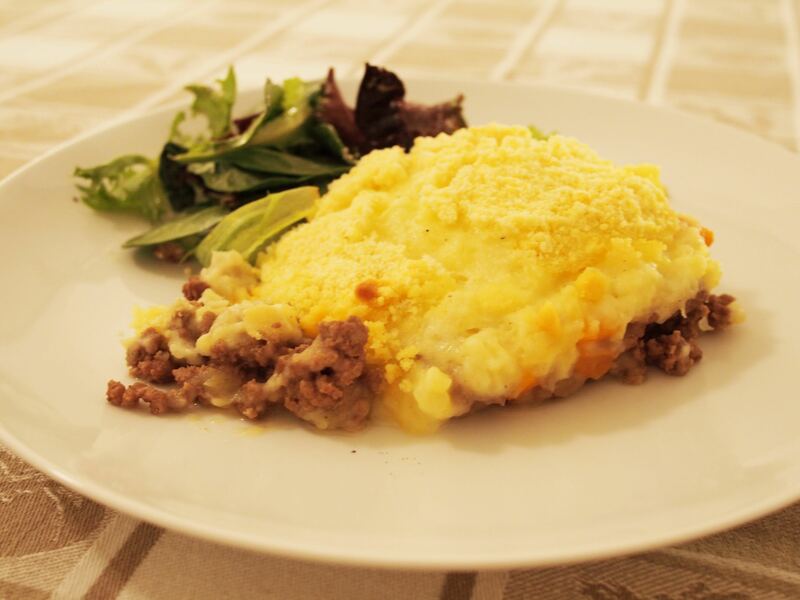 This tasty ground beef and mashed potato gratin is a French kids' favorite. Preheat your oven to 180ºC (350ºF). Sauté the minced onions and garlic with the butter in a large pan. Add the diced tomatoes, ground meat, flour, salt, pepper and Provence herbs. Mix and cook for about 10 minutes. Remove from heat and incorporate the egg yolk and grated Parmesan cheese. Lay the mixture in a gratin tray. Cover with a layer of mashed potatoes and spread some grated Gruyère all over the top. Bake for about 20 minutes. Serve hot with a side of green salad. Talk about a French dessert classic! Bring milk with vanilla pod to a boil. Remove from heat and leave vanilla pod another 5 minutes before removing. Whip egg yolks and sugar together, then add warm milk. Put back on low heat to make mixture thicken. Stir continuously with a wooden spoon. Crème anglaise is ready when there is no more white foam on surface. Texture can be smoothened with electric whip if needed. Let cool then refrigerate. Bring 2 l water to a boil in large sauce pan. Stiffly whip egg whites and salt. Whisk in sugar gradually. Form large balls of egg white and poach on all surface in boiling water. Remove each île from water after about one minute. Drain on paper towel. Make a caramel with sugar, lemon juice and 2 tbsp water in a sauce pan. Pour crème anglaise in individual cups or saucers. Add egg white îles, then top with caramel. These chewy gingerbread cookies from Alsace are a holiday must. Butter a 28x44 cm (11x17 inch) shallow baking pan, line the bottom with greaseproof/wax paper and butter the paper. Heat the oven to 190ºC (375ºF). Put the hazelnuts on a baking sheet and toast them until brown, 12-15 minutes. let them cool slightly, then rub them if necessary in a coarse cloth to remove the skins. Then chop the nuts finely by hand or in a food processor. Sift the flour with the baking powder, cinnamon, cloves, anise, cardamom, and salt. In a saucepan, heat the honey, sugar, and butter, stirring until the sugar is dissolved and the butter melted. Take fom the heat, mix in the lemon juice and candied orange peel, and let cool. Beat in half of the flour mixture and the chopped nuts, add the eggs, and then beat in the remaining flour. Beat for 2 minutes until the dough smooth, pliable and still slightly sticky. Alternatively mix and knead with the dough hook of an electric mixer. Spread the dough in the prepared pan in an even layer about 1cm (⅜ inch) thick. Bake until it is golden brown and still soft, about 20 minutes. Do not overbake or the leckerli will be dry. A few minutes before the dough is cooked, whisk the egg white until frothy, add the confectioners' sugar and whisk until smooth; the icing should pour easily but if it i thin, add more sugar. As soon as the cookies are done, brush on a light coating of icing. Allow to coll for 5 minutes, then cut into 7.5x3.75 cm (3x1½ inch) bars, discrding the dry edges. The leckerli will keep for a month or more in an airtight container. Talk about comfort and gourmet! In a large cooking pot brown duck meat on medium heat. Add onion and bacon. Pour lentils, water and bouillon cube. Add carrots, thyme, laurel, salt and pepper. Lower heat and let simmer for about 40 minutes. Add dried ceps and mustard and cook for at least another 10 minutes while stirring frequently. Bring the milk to the boil, then pour the content of the Alsa chocolate filling pouch. Stir with a hand whisk and bring to the boil again. Remove from heat, pour the mixture into a bowl, let cool, then put into the fridge. In a bowl beat the egg whites stiff with an electric whisk (at least 2 minutes at maximum speed). Pour the content of the Alsa macaron pouch and stir with a wooden spoon until the mixture is smooth without traces of egg whites. Make small heaps of the mixture (about 3 cm of diameter) with a teaspoon and lay on a baking tray lined with a sheet of greaseproof paper. There should be 24 heaps evenly spaced. Start baking. Bring your oven temperature to 50ºC (120ºF). Do not pre-heat. Bake for 20 minutes or longer if the macaron shells are still sticky (you'll need to check), then increase the temperature to 150ºC (300ºF) for about 15 minutes. Remove from oven and wait about 5 minutes before taking the macaron shells off the paper. Take the chocolate filling out the fridge and spread it on half of the shells, then top with the other half of the shells. If you like your macarons on the soft side keep them in the fridge covered with plastic wrap for about an hour. Preheat oven to 220ºC (430ºF). Heat chocolate and butter in a double-boiler or in the microwave until they are melted. Whisk eggs and sugar until the mixture whitens. Whisk in melted chocolate and honey. Whisk in flour and baking powder and stir well with a spatula. 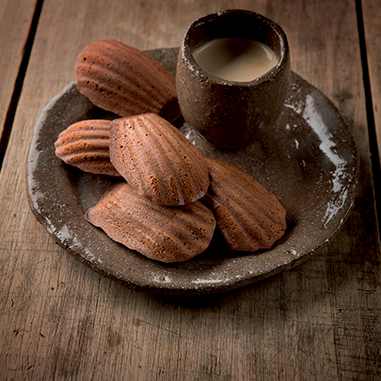 Fill buttered madeleine molds. Bake for 5 minutes, then reduce temperature to 200ºC (400ºF) and bake for another 5 minutes. 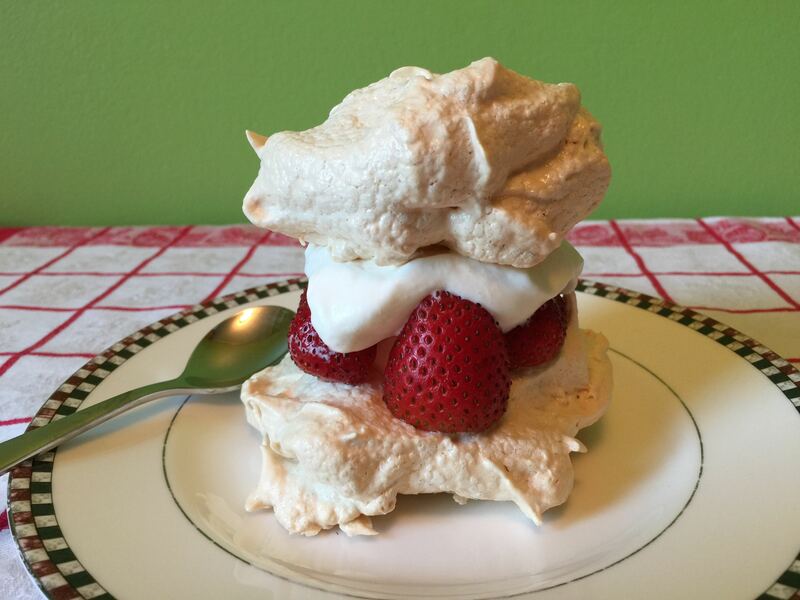 Meringues make for a delicious festive dessert. Color them pink with a few drops of red food coloring and you've got yourself a lovely Valentine's Day treat! Stiffly whip the egg whites. Whisk in 2 Tbsp of the sugar, one at a time. Continue beating until the egg whites are glossy and form short peaks when the whisk is lifted, about 30 seconds. With a spatula, fold in the remaining sugar and vanilla extract and continue folding until the meringue forms long peaks, ½-1 minute. Heat the oven to 120ºC (250ºF). Grease and flour the baking sheets or line them with non-stick parchment paper. Mark twelve 10 cm (4 inch) rounds on the baking sheets. Spread the meringue evenly in rounds with a metal spatula. Bake until crisp and almost dry, 1-1¼ hours (the trick is to keep the heart of the meringue rounds slightly chewy). Leave to cool on the baking sheets. The meringue rounds can be stored in an airtight container for up to 2 weeks. Serve at room temperature in individual bowls with vanilla ice cream and raspberries. These soft and crispy carnival beignets are a crowd-pleaser. Be sure to make enough! Mix the flour and baking powder, then add the salt and sugar. Incorporate the eggs one by one, then the melted butter. Knead until you obtain a ball of homogeneous dough. Keep in the fridge for half an hour. Spread a little flour on your countertop and roll out the dough with a rolling pin. You may have to add a little water to make the dough easier to manipulate. The rolled-out dough should be about ½ cm thick. Cut parallel lines about 5 cm (2 inches) apart, then diagonally to obtain diamond-shaped cuts. Make two small cuts inside each diamond. In a fryer or a large, high pan, boil the cooking oil up to 180ºC (350ºF). Fry the dough cuts on both sides and take out of the pan as soon as they have turned to a nice golden. Lay the Merveilles on some paper wipe to absorb (some of) the oil. Merveilles are delicious either either hot, warm, or at room temperature. They can be stored in a sealed container for about 3-4 days but we doubt you can wait that long! This delicious spring dessert is a lovely idea for a Mother's Day gourmet lunch. Stiffly whip the egg whites. Whisk in 4 Tbsp of the sugar, one at a time. Continue beating until the egg whites are glossy and form short peaks when the whisk is lifted, about 30 seconds. With a spatula, fold in the remaining sugar and vanilla extract and continue folding until the meringue forms long peaks, ½-1 minute. Heat the oven to 120ºC (250ºF). Grease and flour the baking sheets or line them with non-stick parchment paper. Mark twelve 10 cm (4 inch) rounds on the baking sheets. Shortly before serving, hull the strawberries, washing them only if sandy. Make the Chantilly cream by whisking the chilled heavy cream until stiff, then adding the confectioners sugar and whisking until the cream is stiff again. Put a scoop of vanilla ice cream in the center of 6 of the meringue rounds. Surround the ice cream with strawberries, cutting them in half if they are large. Top the ice cream and strawberries with a spoonful of Chantilly cream and add a second round of meringue, pressing it down slightly. Serve at once. 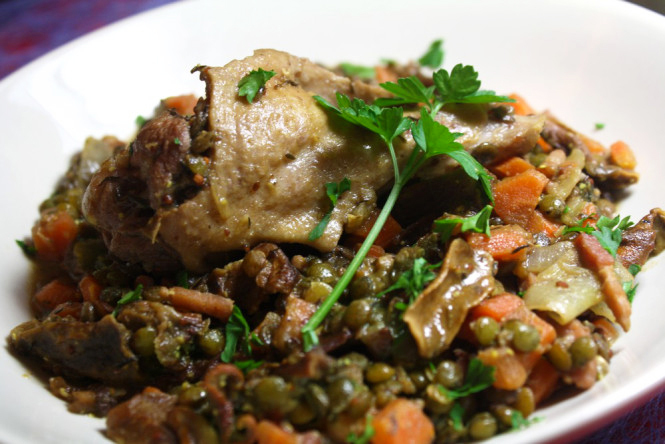 This earthy traditional dish from western France is particularly delectable in the cold season. Soak mogettes in a large bowl of water overnight. Rinse and drain. Wash and peel carrots, cut them into thin slices. Finely chop the onions. Crush the garlic cloves. Put the vegetables in a large saucepan or cooking pot with 10 g (1 Tbsp) butter and glaze a few minutes, add salt and pepper. Add in mogettes and cook 2 more minutes, while stirring. Add in bouquet garni and pour water until mogettes are completely covered. Simmer over medium heat for 1 h 30. Be sure to add a little water if it evaporates too fast. When mogettes are cooked (their texture is both firm and tender), remove bouquet garni, and add in the rest of butter, salt and pepper. Set aside. Fry ham slices in a hot pan, about 2 minutes on each side. Serve with mogettes and a bit of chopped parsley. 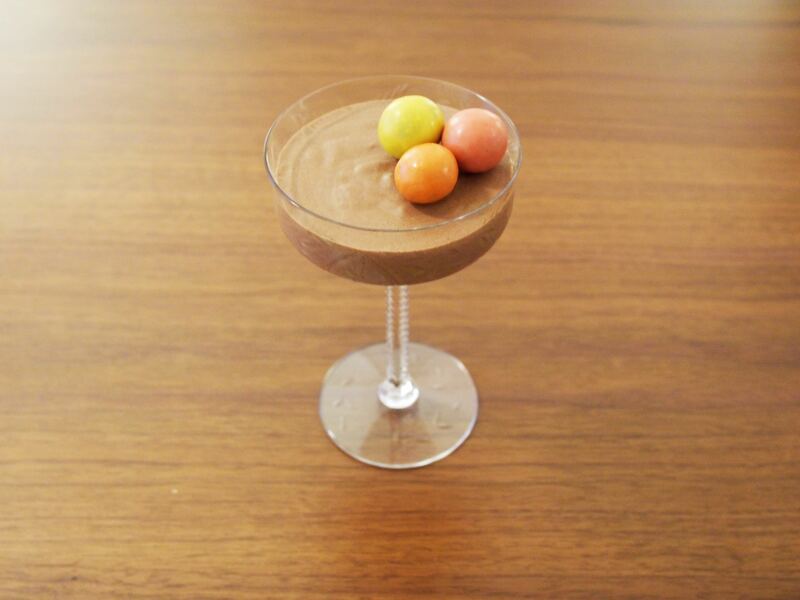 Ours is lighter than your regular recipe for mousse au chocolat because it does not contain egg yolks. It is just as delicious though. Cut the chocolate in small pieces and let it melt (with a little water) in a pan on medium heat or in the micro-wave oven. Remove from heat and let cool for a moment. Beat the egg whites stiff. Whip the cream stiff. Mix the chocolate, the egg whites and the whipped cream very delicately with a hand whisk. This simply delicious dessert (aka marron suisse in France) will win over the chestnut fans in your life. In a bowl whip cream until it is firm. In another bowl whip egg whites stiffly. In another large bowl blend chestnut spread and yolks. Mix Mix chestnut spread mixture, whipped cream and whipped egg whites delicately. Refrigerate for at least 3 hours. Serve in small bowls or ramekins. When it comes to scrambled eggs, we must confess to a strong bias in favor of the French way to make them. 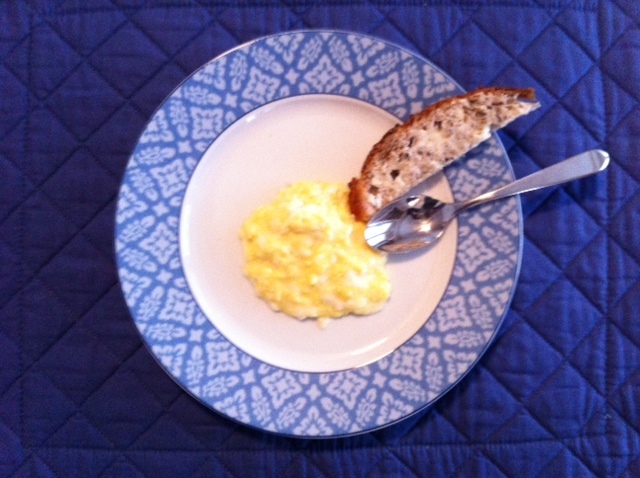 As satisfying as American scrambled eggs may be, they come nowhere near the gourmet creamy texture of oeufs brouillés. Give it a try and we promise you'll be convinced. Boil some water in a large saucepan (filled up to 1/3 of its height). Boiling should be maintained in its starting phase by ajusting the heat if necessary. Break 4 eggs in a bowl, add 2 tea spoon of water, salt and pepper. Stir lightly with a fork. Let the butter melt in small saucepan placed in the large saucepan filled with water. Pour the eggs in and stir immediately with a wooden spoon. Make sure the egg whites are not cooked too fast by constantly scraping the bottom and the edges of the pan. After about 1 minute, take the small pan out of the water to observe the texture. Put back in the water if it is still too liquid but remember oeufs brouillés should never be overcooked. They should be a creamy, homogeneous mixture of yolks and whites. As soon as you take the small pan out of the water for good, add 1 raw egg yolk and stir. Et voilà, your oeufs brouillés are ready. They are delicious plain, but you can also dress them up in many different ways, accompanied with croutons, smoked salmon, prosciutto, sautéed mushrooms or asparagus tips for example. Mix the flour and eggs. Pour the olive oil and the white wine into the batter. Add the olives, ham, Gruyère and baking powder. Pour the batter into a slightly buttered loaf pan and bake for about 50 minutes. Pain surprise (surprise bread) is a French party favorite. Surprise your guests with this or your own variation! With a long serrated knife cut the top and the bottom of the bread. The remainder of the bread should be either (roughly) rectangular or cylindrical. Following the shape of the side crust and leaving about ½" thick bread circle, cut the whole crumb vertically. Make sure to cut to the bottom. Put the bread circle back on the bread bottom. Slice the whole crumb horizontally, then cut each large slice in square or triangular pieces (depending on the shape of the large slice). Make small club sandwiches with tapenades and rillettes, adding parsley leaves, then place them in the bread circle. Alternate fillings. Half-cover with bread top. Et voila, your pain surprise is ready to be enjoyed! Talk about a French party treat! These palmiers are best served fresh from the oven. Lay the 2 sheets of pastry puff on a baking mat and join them at their larger side with a little water, thus forming a larger 15''x20'' rectangle. Spread a thick layer of black tapenade on half of the rectangle and a thick layer of green tapenade on the other. Roll each side of the rectangle towards the center, so the two rolls meet exactly at the middle of the dough. Join the two rolls with a little water. Slice the dough into 3/8-inch slices and place the slices, cut side up, on the baking mat. Bake for about 15 minutes. Check often as baking time does vary depending on oven. Serve freshly baked with cherry tomatoes and vegetable sticks. 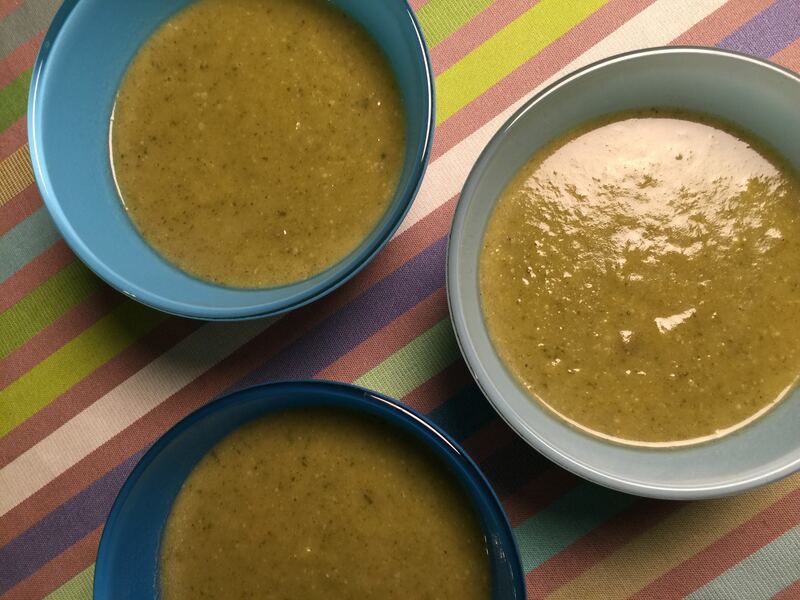 This tasty, healthy recipe is inspired by one of the flavorful confits of L'Épicurien. Pre-heat oven to 220ºC (430ºF). Cut the peppers in halves, remove the pips, and slice thinly. Cut 4 sheets of aluminum foil or parchment paper. Lay one quarter of the sliced peppers on each sheet, then one back of colin and 2 ts of sweet onion confit.Top with chopped basil (or parsley) and add salt and pepper to taste. Close each papillote by folding and twisting both ends. Bake for 30 minutes and serve hot from oven with a white wine from Languedoc Roussillon, a Costières for example. This Basque classic is a delicious accompaniment to fish (try grilled salmon or boiled cod) or scrambled eggs. Make plenty, piperade is even better re-heated. This Provence classic is great as an appetizer or a lunch entree. Lightly oil an 11x17-inch rimmed baking sheet. Working on a floured surface, roll puff pastry into an 11x16-inch rectangle, then transfer it to the oiled baking sheet and press the dough to the sides. Cover with a damp cloth and let rest for 30 minutes. Heat the oven to 190ºC (375ºF). Spread cooked onions evenly over dough, and top with remaining anchovies and olives. Bake until edges and underside are golden brown, 20 to 25 minutes. Serve warm or at room temperature. This succulent gourmet classic will delight your guests. Soak morels in a bowl of water at room temperature overnight. Next day remove morels from water and clean them thoroughly. Dry them delicately in a clean towel, then let them finish to dry on the towel. Filter soaking water with a coffee filter, then bring to a gentle boil in a saucepan on medium heat until volume has decreased by about ⅔. You have obtained an intense morel-flavored liquid. Cook minced shallots with 50 grams (3 Tbsp) butter in a large cocotte (cooking pot) on medium heat. When shallots are melted add chicken legs. Cook until chicken legs have turned to a nice golden color. 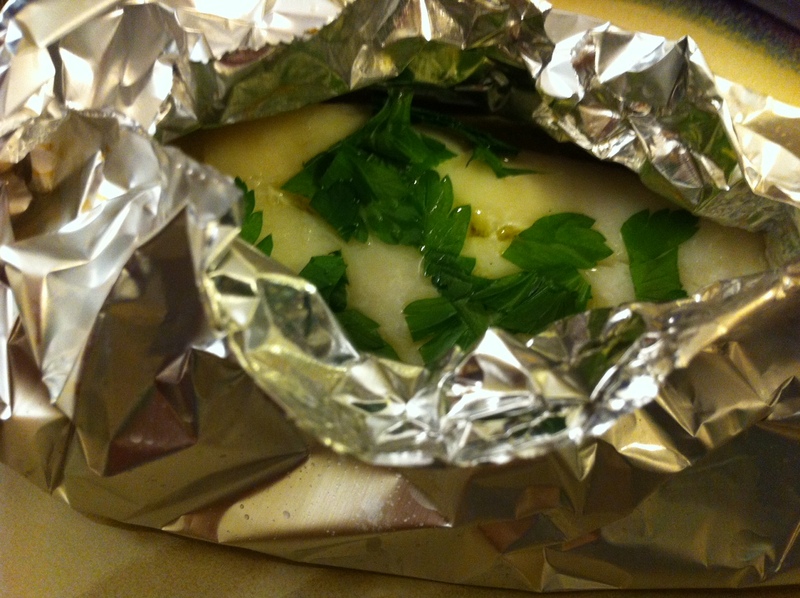 Remove excess fat from the cocotte. Pour Cognac and flambé. Add white wine and 5 cl (4 Tbsp) morel-flavored liquid, stir, cover the cocotte and let simmer on low-to-medium heat for about 30 minutes. Sauté morels in a pan with the rest of butter. Add morels to chicken, season with salt and pepper, and cook in the cocotte for another 5 minutes. Place chicken legs and morels on individual plates. Add crème fraîche and egg yolk to mixture in the cocotte, then stir gently to obtain a creamy sauce. Nappe chicken and morels with sauce and serve. Gratin dauphinois is a great side dish, or steamed French beans if you want something lighter. In a large stainless -steel pot, lightly sauté leeks and onion in olive oil. Add sorrel and potatoes and stir for a few minutes until vegetables are well mixed. Add water, bouillon cubes, parsley, salt, pepper, and nutmeg and boil for about 15 minutes. Simmer soup in covered pot for about 20-25 minutes. Blend soup in blender and then pour it pack into an. Add heavy cream and stir soup. Reheat and serve hot. Lay the pie crust sheet on a buttered tarte tray and make tiny holes with a fork. Sauté the bacon cubes (or the ham cut in small dices) then lay them on the pie crust. Add butter shavings. Whip the eggs, cream, and milk together. Season with salt, pepper, and nutmeg to your taste. Pour the mix on the pie crust. Bake for 45-50 minutes. Serve hot, warm, or cold with a salad. This Provençal cuisine classic is as healthy as it gets. Make plenty, ratatouille is even better re-heated. Cut tomatoes in half quarters and eggplant and zucchini in slices. Chop pepper and onion. Heat 2 Tbsp olive oil in a pan then sauté onion and pepper. When onion and pepper are tender add tomatoes, garlic, thyme, and laurel. Season with salt and pepper, stir, cover and cook on low to medium heat for about 45 minutes. Heat the rest of olive oil in a different pan and sauté eggplant and zucchini for about 15 minutes. When eggplant and zucchini are tender (but not mushy) add to the tomato mixture and let simmer on very low heat for another 10 minutes. Taste and add salt and pepper if necessary. 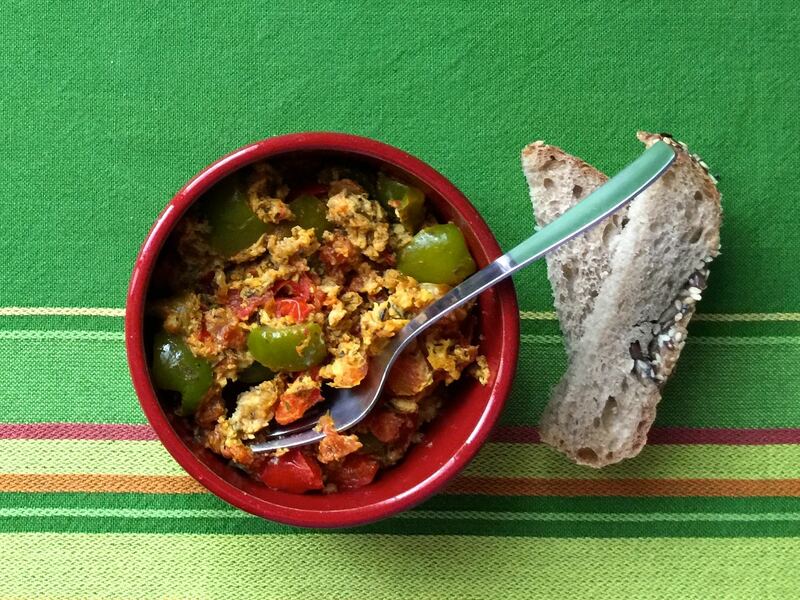 Serve hot with scrambled or fried eggs. This beautiful roulé is a refined festive meal's perfect finale. Pre-heat oven to 220ºC (430ºF). In a bowl mix egg yolks and sugar energetically until the mixture becomes whiter and double volume. Whip egg whites until stiff. Delicately incorporate ⅓ flour, ⅓ melted butter, then ⅓ egg whites to sugar and yolk mixture. Continue to mix in flour and egg whites by ⅓ until you have used all. Pour the mixture into a baking pan. Pan should be approximately 14"x11". Cake layer should be ½" thick. Bake for about 12 minutes. Remove cake layer from baking pan, lay on wet kitchen towel, then roll lengthwise. Defrost raspberries on low heat (or in micro-wave), cook on high heat for 8 minutes, then let cool. Melt chocolate and water on medium heat, then mix in rest of butter and confectioners sugar gradually. Unroll cake layer on a baking grid and remove wet towel. Spread raspberry mixture on cake layer and re-roll lengthwise. 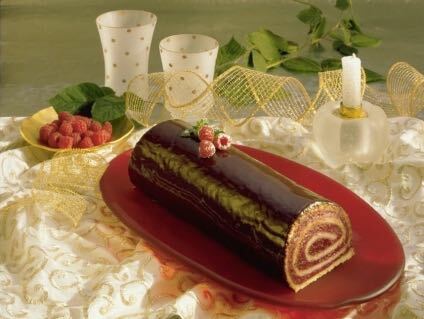 Coat with chocolate mixture. Refrigerate for about 1 hour before serving. Here it is, the tasty, nutritive mixed salad that takes care of your whole summer meal! Cut the ends of the French beans and cook in boiling water for about 20 minutes. The beans must be cooked but still a little crunchy. Rinse with iced cold water (to keep the beans green) and drain. Cook the eggs in boiling water for 6 minutes. The yolks must be slightly runny. Peel and chop 2 whole eggs. Keep the yolk of the 3rd egg in a bowl and chop the remaining egg white. Remove the tomato seeds and cut them in small dices. Rinse the mushrooms quickly and chop. Rinse the center part of the lettuce aand chop. Rinse and drain the corn kernels. Cut the cheese in small dices. In a salad bowl, mix the French beans with the tomatoes, mushrooms, corn, eggs and chopped cheese. Mash the remaining yolk in the smal bowl and add the mustard, vinegar, oil, salt and pepper. Mix and add the shallot, finely chopped, and the chives. Mix the dressing with the salad. Add the lettuce and sprinkle with the hazelnuts just before serving. Serve with crusty bread and a cool rosé wine. This flavorful, nutritive salad is all about aromatic herbs and simmering. Here it is, your quintessential slow food! Put the beans in a large bowl, cover them generously with cold water and leave to soak 6-8 hours. Drain the beans and transfer them to a large saucepan. Cover with water and add the onion studded with cloves, bouquet garni made with the thyme, bay leaf, and parsley tied together with string, garlic, and pepper. Bring slowly to the boil and simmer until the beans are tender, 1-1½ hour. Add water when needed so the beans are always covered. Season the beans with salt only halfway through cooking or they will be tough. 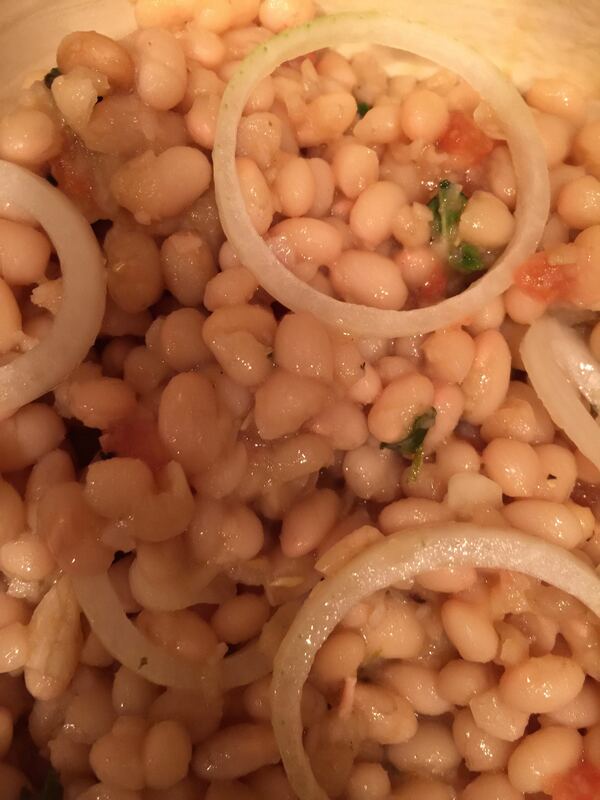 Drain the beans ad discard the onion, bouquet garni, and garlic. Whisk the vinegar with the salt and pepper in a small bowl until the salt dissolves, then gradually add the oil, whisking constantly so that the vinaigrette emulsifies and thickens slightly. Whisk in the chopped garlic. Chop half the thyme and oregano, reserving the rest for decoration. In a large bowl, stir together the drained beans, tomatoes, shallot, and chopped herbs. pour over the vinaigrette, stir, and taste the salad for seasoning. Allow the salad to marinate for at least 2 hours and up to 24 hours before serving, so that the flavors mellow. Just before serving, decorate the top with onion rings and herb sprigs. A tasty starter for a gourmet meal. Cook lentils in water (3 volumes of water to 1 volume of dry lentils) on medium heat for about 20 minutes. Let cool. 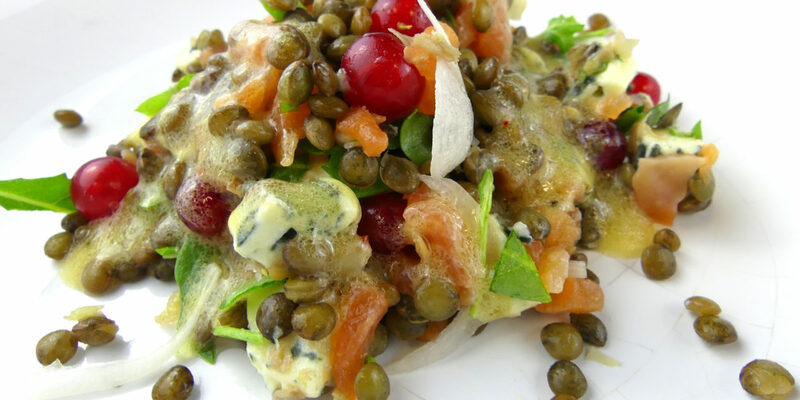 Mix lentils with trout, cheese, onion, arugula and cranberries. Make vinaigrette with all dressing ingredients. Pour on salad. Serve cool. 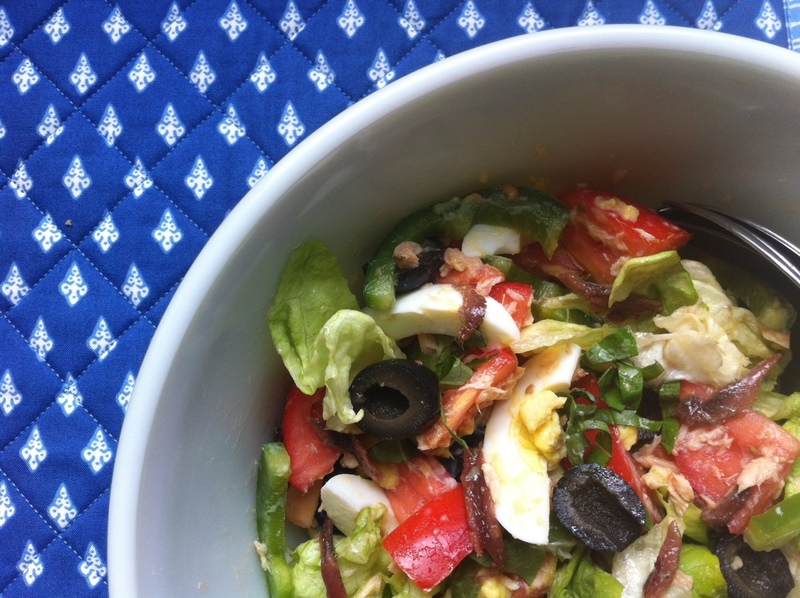 Salade niçoise is a staple of Provence cuisine, both healthy and flavorful. Great for a light summer meal. Mix the vinaigrette ingredients in a salad bowl and add the white onion finely chopped. Cut the tomatoes in segments and put them in the bowl. Slice the green pepper in thin circles. Add the salad leaves, the flaked tuna fish, the hard boiled eggs cut in segments, the circles of green pepper, the anchovy filets, and the black olives. Top with some minced basil. Mix just before serving. Serve with light red wine or rosé. Talk about a French classic! The good news is, there is absolutely no way you're going to flunk this recipe. Preheat oven to 180ºC (350ºF). Butter the soufflé mold. Heat butter in a large saucepan on medium heat. Add flour and stir energetically with a wooden spoon for 1 minute. Whisk in milk and stir on low heat for a few minutes. Remove from heat. 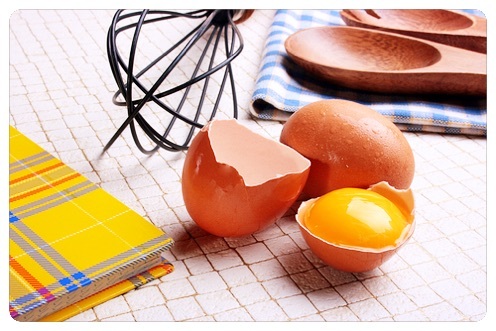 Separate egg yolks and whites and stiffly whip egg whites with a pinch of salt. When the mixture in the saucepan has cooled a little, incorporate egg yolks one by one, then add Gruyère cheese. Add salt (very little because cheese is already salty), pepper and nutmeg to taste. Incorporate stiff egg whites delicately. Pour the mixture in the mold, not higher than 1½ inch from top. Peel and mince onions. Heat butter and oil in a pot, then add onions and sauté on medium heat for about 10-15 minutes. Add flour, stir well and cook till mix has turned to a nice golden color. Pour hot broth gradually. Add pepper. Cover and cook for 15 minutes. Meanwhile, pre-heat oven to 200ºC (400ºF). Pour onion soup in individual pots or oven-proof bowls, add croutons and grated cheese. Lay pots on oven tray and cook au gratin for about 5 minutes. Serve hot with a dry white wine. Melt the butter in a large pan. Add the vegetables, seasoning the layers with salt, pepper, and Espeletter ground pepper. Press a piece of buttered wax paper on the vegetables and cover the pan. Cook the vegetables over very low heat until tender., stirring occasionally, 20-25 minutes. Do not allow them to brown. Add the water to the vegetables, bring to the boil, then simmer for 5-10 minutes. Meanwhile, make the pistou: chop the basil, garlic, and cheese in a food processor or blender, then gradually work in the oil to form a pourable purée. Spoon the soup into bowls and pass the pistou separately. The soup is best freshly made. This tasty bread works for picnic, apéritif – serve cut in sticks, and any summer meal really – accompany with a green or a mixed salad. Pre-heat oven to 200ºC (400ºF). Mix bread ingredients (all but vegetable ingredients, including 10 cl oil) and set aside. Sauté zucchinis in a little olive oil. Add salt and pepper. Stir in bell pepper. When the mixture has melted add garlic and Provence herbs. Stir and keep on medium heat for another couple of minutes. 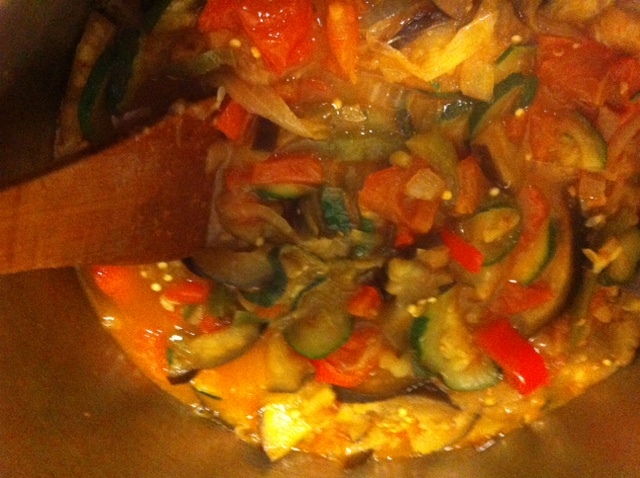 Incorporate sautéed vegetables into bread mixture. Add dried tomatoes and stir well. 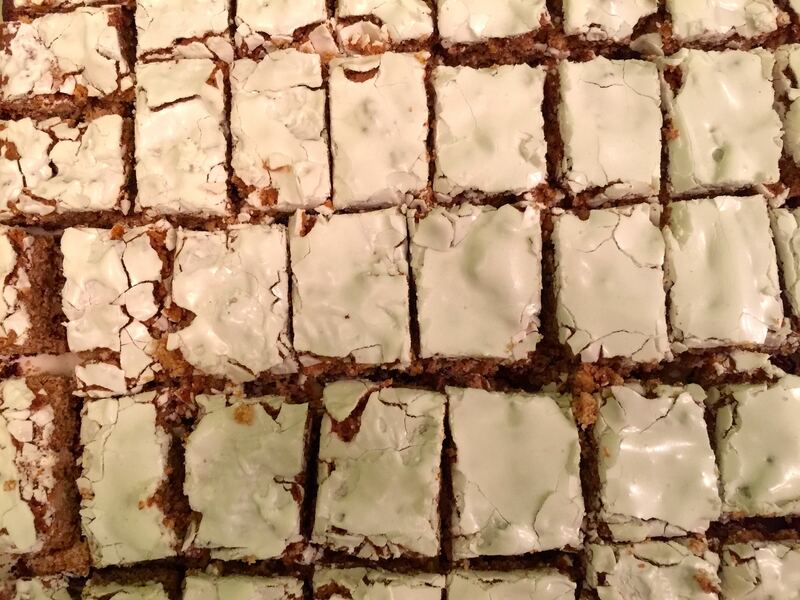 Bake in a buttered rectangular tray for about 45 minutes. This recipe is great as an appetizer or with cocktails. Use very fresh tuna. With a very sharp knife, clean the tuna fillets, removing all skin, bones, and membranes. Chop the tuna finely with knife and put it in a bowl. Add oils, vinegar, shallots, capers, chives, and parsley and mix well.Season the tartare to taste. Cover tightly with a plastic wrap and leave to marinate 2-3 hours. Serve with crisp slices of toast. Mmm, you're going to love this one... Both Nestlé Dessert dark baking chocolate (52% cocoa) and corsé baking chocolate (64%) are perfect for this recipe. Mix all crust ingredients then roll out to fit a 9-10" round tart tray. Make tiny holes with a fork then bake crust for about 15 minutes with only pulses on an aluminum foil. Remove pulses and aluminum foil. Heat chocolate, cream and milk in microwave until mixture melts. Stir well and let cool a little. Beat egg and incorporate in filling. Pour chocolate mixture on crust then bake for about 20 minutes. Be sure to check after 15 minutes, as this may be enough with some ovens. Serve at room temperature with a scoop of vanilla ice cream. Get your badge of French pastry maker with this irresistible gourmet classic! Preheat oven to 180ºC (350ºF). Make pâte sablée (shortcrust pastry) first. Whip egg yolks, sugar, and 2 Tbsp water together. Mix flour and butter with hands until butter is completely absorbed.This needs to be done quickly so that butter does not melt. Pour in egg mixture and incorporate quickly with knife or hands. Roll and make a bowl. 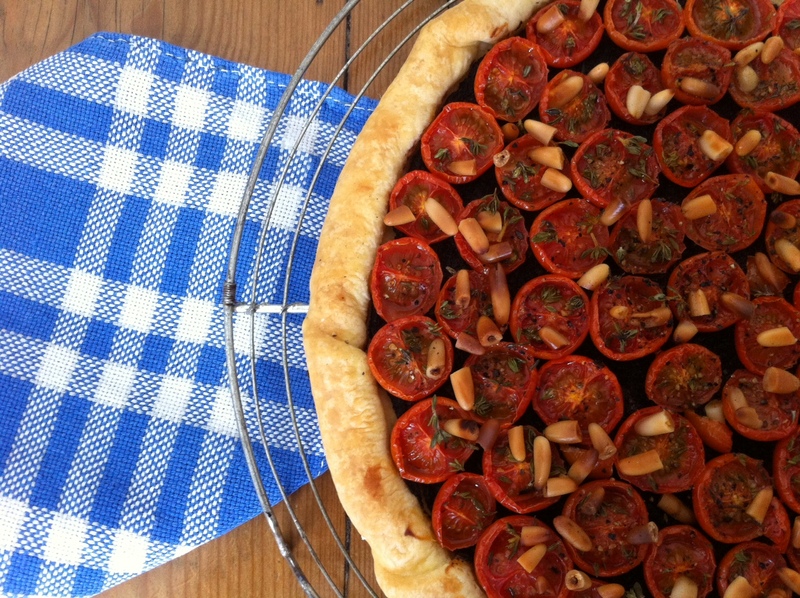 Flatten the bowl once or twice, then lay crust on a buttered 9-10 inch round tart tray. Cover with parchemin paper and dried beans. Bake 20-25 minutes. Remove and reduce oven temperature to 125ºC (250ºF). Continue with lemon cream. Wash and peel very thin zests from 2 lemons. Press juice from all 4 lemons. Cook and stir juice, zests, sugar, and Maizena corn four on low heat. Whip whole eggs in a separate bowl, then add to lemon mixture and stir. Increase heat and keep stirring with a whip. Mixture will gradually thicken. Remove from heat and pour mixture on baked crust. Set aside and let cool. Finish with meringue. Whip egg whites with a pinch of salt. Add sugar and baking powder when egg whites start being firm, then continue whipping until stiff. Cover lemon cream with a layer of meringue. Bake about 10 minutes, until meringue turns to a nice golden color. Serve at room temperature and amaze your guests! 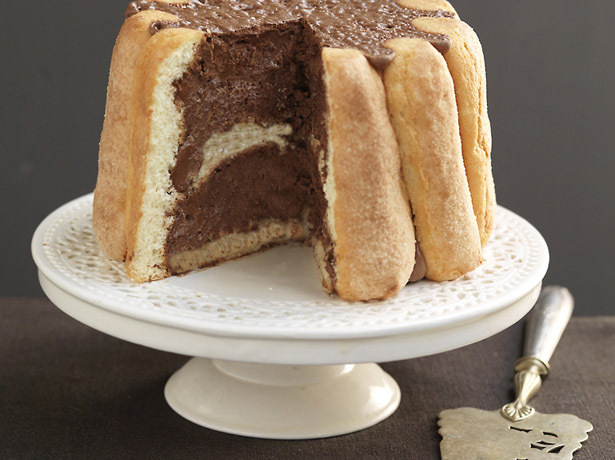 Pear and chocolate, this match made in heaven is sure to delight your guests! Butter the tart tin generously, then sprinkle with sugar. Roll out the pie crust to 3 mm (⅛ inch) thick and 30 cm (12 inch) diameter. Line the tart tin with the crust and make tiny holes with a fork. For the custard: beat the egg, egg yolk, cream and vanilla extract until thoroughly mixed. Heat the oven to 200ºC (400ºF). Sprinkle the bottom of the tart with the chopped chocolate. Peel and thinly slice the pears crosswise; flatten the slices lightly. Arrange them in a flower petal design on the chocolate so that the slices overlap. Spoon over the custard so that the surface of the pears is coated. The custard should be just visible between the pear slices. Sprinkle the pears with sugar. Bake the tart well down near the base of the oven so the bottom cooks, 10 minutes. 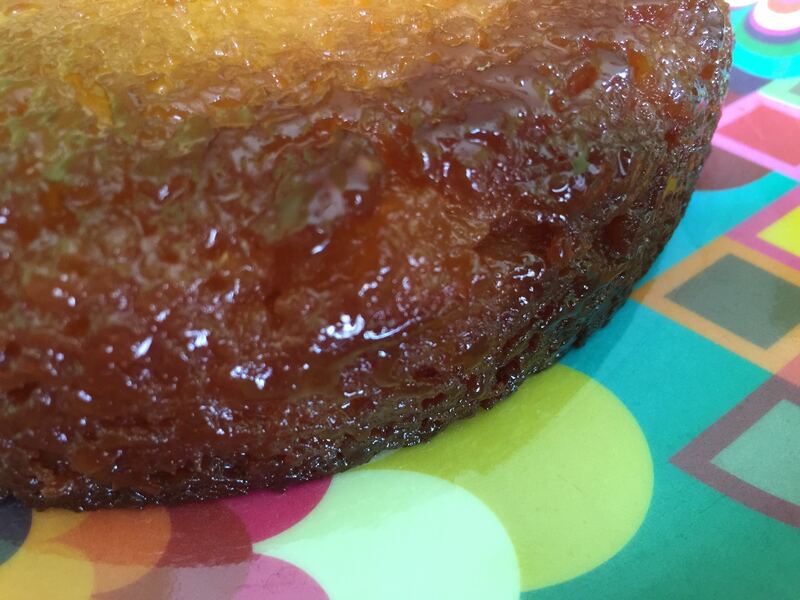 Reduce the heat to 175ºC (350ºF) and bake until the crust is brown and the custard is set, 15-20 minutes longer. If the pears are not caramelized, brown them under a hot grill/broiler for 2-3 minutes. Serve warm or at room temperature with scoops of vanilla ice cream. Pre-heat your oven to 180ºC (350ºF). Lay the pie crust on a buttered tarte tray and make tiny holes with a fork. Bake for about 5 minute without anything on top of the tarte. Remove from the oven. Spread a layer of Dijon mustard, then a thicker layer of tapenade. Lay the cherry tomatoes cut in halves, bottom down. Sprinkle the thyme (or rosemary) and pine nuts. Add some pepper (no salt, the tapenade is salty enough) and olive oil. Bake for about 30 minutes. Serve warm or at room temperature with a side of watercress, for example, and a glass of cool rosé. 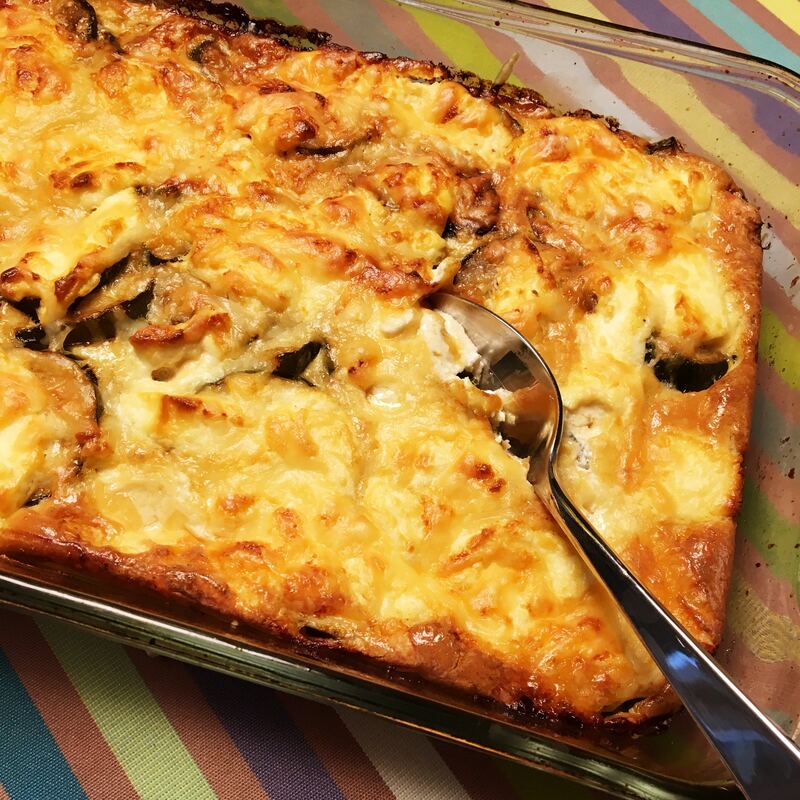 Tian (layered, baked vegetable dish) is a classic of Provence cuisine, both healthy and flavorful. 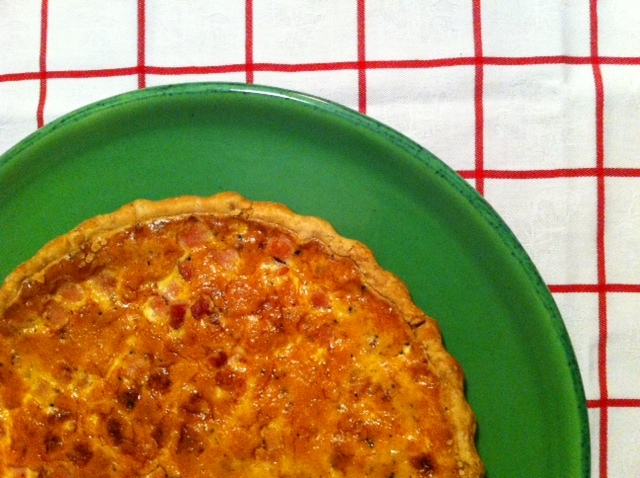 Great for a light summer dinner: take 15 minutes to prepare it, then have a lazy apéritif while it is baking. Chop the shallots and sauté them in 1 table spoonful of olive oil. Meanwhile, cut the eggplants and tomatoes in half then thinly slice all the vegetables. Place the shallots into an oven dish, add a layer of green tapenade on the base of the dish, then place the slices of vegetables in alternate rows. Add salt, pepper, ground Espelette pepper and the rest of olive oil. Bake for 90 minutes at 180°C (350°F). Serve with crusty bread and light red wine. Pre-heat your oven to 180ºC (350ºF). Cut the tops of the tomatoes and hollow out them out (you can use the pulp to make fresh tomato sauce for another dish). Lay the tomatoes in an oven tray. Wash the mushrooms and cut off their stalks. Chop the mushrooms, parsley and onion, mix them with the ground meat, then add salt and pepper. Fill each tomato with enough stuffing to stick out a little and cover with the tops previously cut. Pour some white wine in the tray, not more than 1 cm (½ inch) deep and add the rice. Bake for about 50 minutes. Pre-heat the oven to 175ºC (350ºF). Cut the tomatoes in half crosswise, discarding the cores. Put them in a buttered baking dish. In a separate bowl, combine the breadcrumbs, garlic, parsley, salt, pepper, and oil, stirring to form a crumbly mixture. Spoon the mixture on the tomatoes and bake them in the oven until just tender, 12-15 minutes. Serve with rice and/or fish (baked salmon is one of our favorite matches) and pair with a cool rosé wine. Peel the celery root, turnips, and onions. Cut them in small dices. Let the butter melt in a large saucepan on medium heat to high heat. Add the celery root and cook for 2 minutes. Add the turnips and cook for 2 minutes. Add the onions and cook for 2 minutes. Add the chestnuts and cook for 5 minutes. Add the ginger, stir, and cook for 2 minutes. Pour the chicken stock, cover and simmer on very low heat for 20 minutes while stirring regularly. Blend, add salt and pepper to taste. Pour the liquid cream, stir and add the parsley before serving. 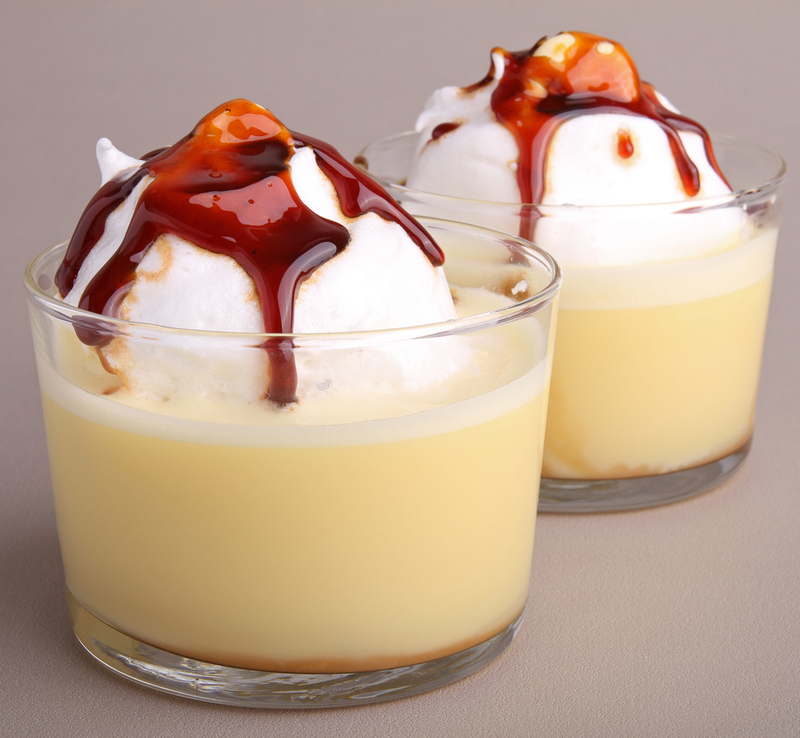 This refined layered dessert served in small glass containers (aka verrines) will get you rave reviews! In a salad bowl kept in the fridge for a couple of hours beforehandwhisk heavy liquid cream and confectioners sugar with an electric whip, increasing speed every 30 seconds. There is your crème chantilly! In another salad (or blender) bowl blend strawberries then stir in sugar. Break biscuits roses in small pieces. Start each verrine with a layer of biscuits roses. Add a layer of crème chantilly, then a layer of strawberry mixture. Refrigerate for at least 2 hours. Top each verrine with a knob of crème chantilly, a strawberry and fresh mint leaves just before serving. 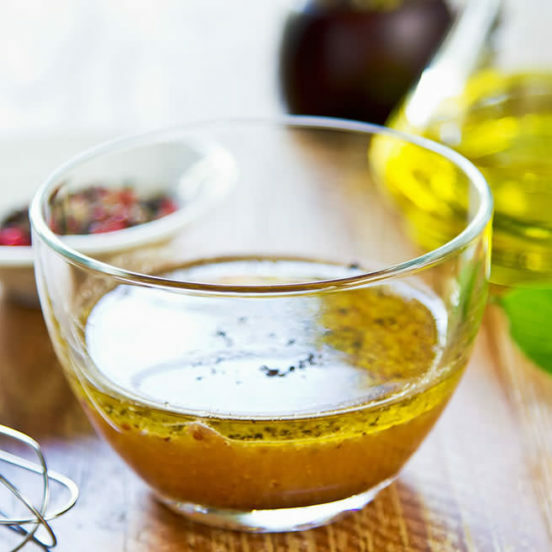 Here it is, your go-to gourmet vinaigrette recipe! In a salad bowl add salt and pepper then stir in olive oil, Melfor vinegar, Maggi Arôme, and Savora condiment (or Amora Dijon mustard if you want your vinaigrette a tad more piquant). Mix well then refrigerate or set aside somewhere cool. Stir with a fork before each use.